Opposition was accused by ruling parties at the beginning of the day of "dirty tricks", FPÖ calls the opposition "twice". At the beginning of a new week in the investigative committee, he notes: opposition and ruling parties are in a crisis, as there are no witnesses for the next week, with one exception. SPÖ talked about "dirty tricks", FPÖ calls again the opposition "twice". Today, on Tuesday, it is primarily a former spokesman for ÖH press Georg Garstenauer guest in the board. He is hurt by the cause of the former chairman of the ÖH and the information of the Green Parliament Sigrid Maurer. It's about untrained data from the BAT. 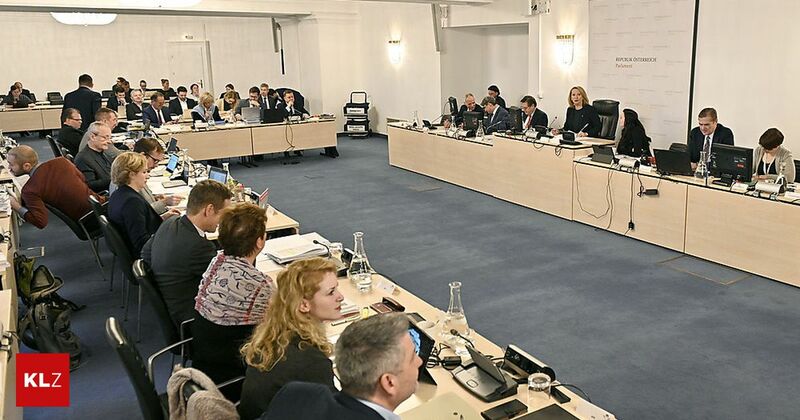 The opposition does not see the meaning of this witness test: NEOS Mandatarin Stephanie Krisper called the "disturbing act of ruling parties," deputies from the Now list Alma Zadić criticized the "delay tactics". 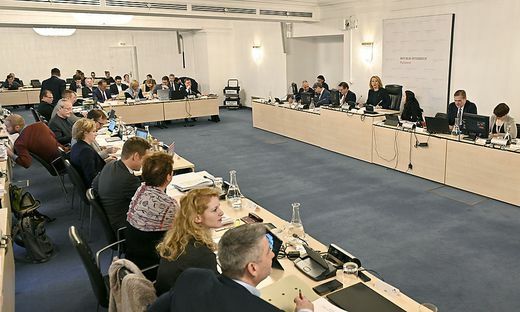 The ruling parties ÖVP and FPÖ responded to it almost entertained and rebounded the ball: for the two sessions of the next week so far only Maurer is loaded, otherwise nobody answers. Due to the deadline, witnesses who were only called this week could easily be dismissed – which would almost cut their thumbs at the sessions. In the opinion of the ÖVP and the FPÖ, it is clearly the fault of the opposition because it is not in agreement. There is no opposition publisher since December, the head of the ÖVP faction said Werner AmonAnd if the government parties are being charged with delay, you can re-unload Maurer, he added. "Nothing comes from the opposition"
"It has failed because of the opposition," said the head of parliament FPÖ Hans-Jörg Jenewein, "It is not the task of the government (sparteien) to witness the witness here," he said. "There is a functioning government in this country but there is no working resistance – that's a problem," Jenewein sharply criticized. Accusing the kidnapping, but even failing to bring a list of witnesses, was "somewhat biased". The opposition, of course, looks very different: they have a "clear agreement" and hope to find agreement with all groups today or tomorrow, Zadić is convinced. The lowest was the diplomatic chairman of SPÖ Kai Jan Krainer: ÖVP and FPÖ would use "dirty tricks" to bring "sand to transfer". This is based "primarily on the ÖVP, which wants to prevent the investigation of black networks (within the Ministry of the Interior)". Government parties have certainly submitted a proposal, but the appropriate meeting on the burden of January plenary has canceled ÖVP and FPÖ in a short time, Krainer is outraged. The ruling parties reject it.